About the Prize Past Recipients How can I contribute? Whom can I contact? 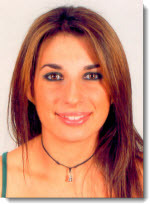 Prior to attending BU Law, Federica received her LL.B. and LL.M. from Bocconi University. She has interned at Tarter Krinsky & Drogin LLP, Baker & McKenzie, and Pangbiao Law Firm. 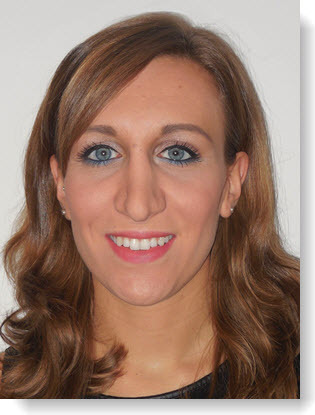 While studying at BU Law, Federica focused her studies on International Business Transactions. Chin Seng joined BU Law while concurrently pursuing his LL.B. at the National University of Singapore (NUS) Faculty of Law, where he served in the Pro Bono Club and became involved in the Project Law Help led by the Law Society of Singapore. Previously he completed an internship with the Special Needs Trust Company (SNTC), a non-profit that provides affordable trusteeship services to parents of special needs children. Chin Seng aspired to learn about American law in order to find new ways to translate legal knowledge into practical benefits for the legal community in his home country. 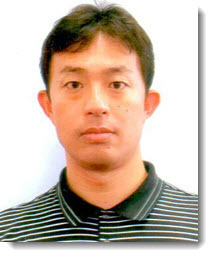 Shigeru joined BU Law from Tokyo law firm of Nishimura & Asahi, where he is a senior associate. Since joining the firm in 2003, he has represented clients in a range of M&A transactions and tax disputes. For the past three years, he has served as the Chief Counsel of the Legal Department at Mizuho Securities Co. Ltd., on secondment from his law firm, overseeing the company's corporate, securities and M&A matters. Shigeru received his LL.B. from the University of Tokyo in 2002 and completed Japan's Legal Training and Research Institute in 2003 after passing the national bar. After graduating from the LL.M. program in May 2014, Shigeru spent one year as a trainee at Davis Polk prior to returning to Nishimura & Asahi in 2015. 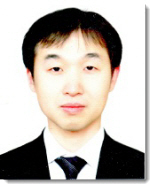 Shigeru passed the New York Bar Exam in July 2015. Beatrice joined BU Law from Università Commerciale Luigi Bocconi in Milan, where she completed her Master of Science in Law in 2012. She received her first degree in law from Bocconi in 2008. Beatrice brings to BU Law a broad international perspective: during her master's program, she pursued business studies at the University of Queensland in Australia, and she attended high school in Fairfax, Virginia. 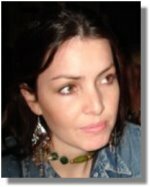 Her work experience includes working as a professor and manager of Italy's Model U.N. college network. She has also completed internships at Tribunale Ordinario di Milano and at Unicredit Italia Business Partner S.p.A. During her time as a student in the LL.M. in American Law Program, Beatrice pursued coursework in intellectual property and antitrust law. After graduating from the LL.M. program in May of 2013, Beatrice transferred to the J.D. program and plans to complete her degree in May of 2015. Dooho joined BU Law as the sole presiding judge on the Jeonju District Court in Korea. 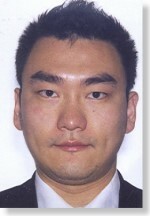 He passed the Korean national bar exam in 2000, received his LL.B. with honors from Seoul National University in 2001, and completed Korea's Judicial Research and Training Institute in 2003. He worked for the Korean Army as an operational law officer and a military prosecutor from 2003 to 2006. He started his career as a judge in Seoul in 2006. As a judge, he has handled civil, criminal, and bankruptcy law matters. After completing his LL.M., Dooho will return to his judicial position, where he will handle civil, criminal, and family law cases. Steven joined BU Law as a German Fulbright Scholar. He pursued law studies at Bucerius Law School and passed his First State Examinations in 2009, ranking among the best 5% of law students in Hamburg. He then began work on his doctoral thesis on Conflicts of Law. During his law studies, Steven spent a semester abroad in Buenos Aires, Argentina at Universidad Torcuato di Tella. He also completed internships at Beiersdof AG in Hamburg and at Nörr Stiefenhoffer Lutz in Berlin. After completing his First State Examinations, he worked as a junior associate with Hengeler Mueller in Düsseldorf, specializing in international corporate law. Since 2004, he has participated in a community outreach program, through which he offers free legal advice to people in social need. At BUSL, Steven focused his studies on corporate law and financial markets. After graduation, he plans to sit for the New York Bar exam and will resume to work on his doctoral thesis. Jiayi, brought up in China and later educated in Australia, is a qualified Chinese and Australian lawyer working in an international commercial law firm, Deacons. Being a core member of Deacons' China Practice Group, he has acted for a number of PRC companies (state-owned and private companies) in relation to their investments in Australia, including recent Sinosteel's successful competitive hostile takeover bid for Midwest Corporation, which is the first successful hostile takeover of a listed company by a Chinese Government enterprise anywhere in the world. 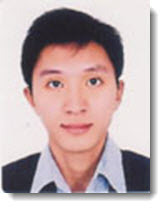 Steven received his LL.B, B.Com and Dip of Arts (Political Science) from University of Melbourne. He has a passion for soccer and has spent the last five years running a local amateur soccer club. 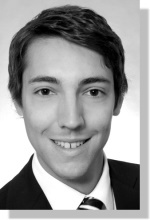 Alexander joined BU Law from the Frankfurt office of Allen & Overy, as a litigation attorney. 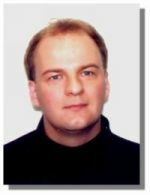 He pursued his law studies with a focus on European and International Law at the University of Passau in Germany, passing with distinction his First State Exams in 2005 and Second State Exams in 2007. He is currently completing his doctoral dissertation. During his Referendariat, his stations included positions with the leading firm, GleissLutz in Munich, and with the City of Augsburg's Mayor's office. 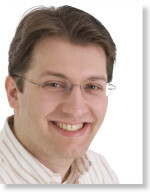 A talented linguist, Alexander has competencies in Spanish, French, Japanese and Latin - as well as German and English. After graduating from BU Law, Alexander plans to sit for the New York Bar exam and will then practice as an attorney with Baker & McKenzie in Frankfurt, Germany. Nikolas joined BU Law as a Fulbright Scholar. 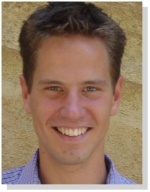 He pursued his law studies at the University of Cologne and passed his First State Examinations in 2006, scoring in the top 2% of exam takers. He then began to work on a Ph.D., writing his dissertation on the international protection of copyrights in film. During his law studies, he received scholarships from the German National Academic Foundation, the French Government and the German Academic Exchange Service (DAAD) for his academic achievements. He also earned a French Maîtrise degree with a major in International and European Law from the University of Aix-en-Provence School of Law, and graduated with honors. As a student, he worked as an academic assistant at the Institute for Intellectual Property Law & Copyright at the University of Cologne. Upon graduation from BU Law, Nikolas will resume work on his Ph.D. and then begin his Referendariat in Hamburg. Before joining BUSL, Vikas was admitted to the Bar Council of Delhi in 2003 and has since been practicing as an attorney on corporate and commercial matters. In India, he was retained with Seth Dua & Associates, a prominent law firm of India. He has to his credit several joint venture transactions and mergers, for various Indian and multinational corporations. He received his Bachelor of Commerce (with Honors) in 2000 and LL.B. degree in 2003 from the University of Delhi. In 2002, he also qualified and was admitted as an Associate Member to the Institute of Company Secretaries of India (ICSI), and has made several contributions to the journal of the ICSI. He also co-authored the book 'Joint Ventures & Mergers and Acquisitions in India - Legal and Tax Aspects' published by Lexis Nexis - Butterworths. 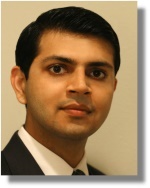 Vikas plans to sit for the New York Bar exam and practice as a corporate attorney in New York. A qualified German lawyer, Wolf pursued his law studies in Frankfurt at Johann W. Goethe University. 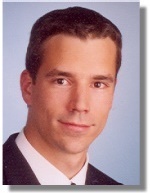 He passed his First State Exams with honors in 2002 and his Second State Exams with high distinction ("gut") in 2004, scoring in the top five percent of German law students. A past recipient of Germany's prestigious National Academic Foundation Fellowship, he has completed Referendariat internships at Lovells in Frankfurt and London and at Clifford Chance in Frankfurt. Currently, Wolf is pursuing his Ph.D. at Johann Goethe University, writing his dissertation on "The Legal Status of Corporate Board Members in Due Diligence Investigations". In his free time, Wolf is an avid rower. He has won 249 rowing regattas as a member of Germany's national team, and even competed in the Head of the Charles in Cambridge, MA in 2002. For two years prior to joining BUSL, Adriana was an associate lawyer at the firm Munoz, Tamayo & Associates in Bogotá, Colombia, and an Assistant Professor of Law (Contracts and Commercial Papers) at La Sabana University, where she received her law degree in 2002. When studying law at La Sabana University, she wrote her undergraduate thesis on a comparative analysis of U.S. and Colombian securities regulations and at the same time worked as a research assistant for several professors. No stranger to America, Adriana was an exchange student during her senior year at West Forest High School in Tionesta, Pennsylvania. At BUSL, she was interested in international business and transactions topics and issues related to legal ethics. After graduation, Adriana passed the New York Bar. She also interned at USCIB - ICC and then began work at Bear Stearns in their compliance team. Joachim came to BUSL from the Paris office of Shearman and Sterling LLP, where he was a member of the International Arbitration Practice Group. America is the fourth country in which Joachim studied law: He pursued his studies at the Universities of Hamburg and Cologne in Germany, and also for a year at Université d'Aix-Marseille III, in France, from which he received a Diploma in International and European Law with distinction. After passing his First State Exam in Germany in 1998, he then received a Master of Laws in International Business Law from King's College London. After graduating from BUSL, he passed the New York bar and has returned to his work at Shearman and Sterling LLP in Paris. After graduation, he passed the NY bar, worked in Paris at Shearman and Sterling LLP, and is now working in Geneva at LALIVE.